As we enter February, there is even more good news to celebrate, this time for captive tigers. Thai authorities recently confirmed that they have impounded more than 100 tigers at the infamous 'Tiger Temple' in Thailand's western Kanchanaburi province. This controversial tourist attraction has been linked to reports of animal cruelty and engagement in illegal wildlife trade activity, repeatedly over the last ten years. In fact, it has been in the spot light ever since I first started working on wildlife issues. Yet it was only late last year that I had the opportunity to visit and observe a tiger temple in Chiang Mai myself. Knowing its reputation, I sat rather uncomfortably on the balcony of the Tiger Temple's restaurant and was truly astounded by what I saw. Weighing in at up to 400 pounds, tigers (irrespective of whether they are in captivity or in the wild) are highly evolved carnivores that deserve a more than a certain measure of respect. However, this concept seemed to have totally escaped the visiting tourists who were cuddling adult tigers (with three inch canines fully intact) right before my eyes. 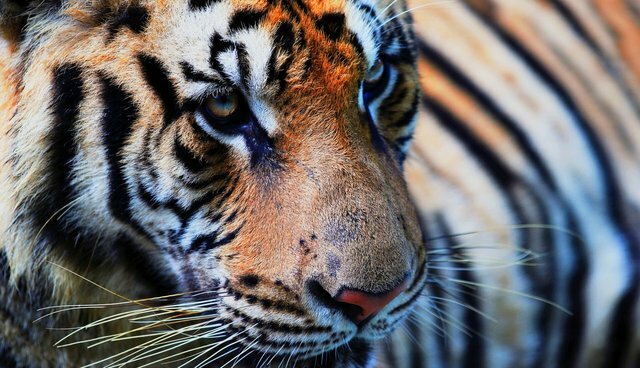 To say that I was unsurprised to hear that a tourist visiting a tiger park in Phuket was mauled (thankfully in this case not fatally) the very next day is an understatement. I would advise anyone visiting Thailand to immediately remove this from their to-do list.